Solar Eclipse/ New Moon of Ngetal, November 3, 2013. On October 18 the end of the Lunar Eclipse will be visible here in eastern North America as the Moon rises at 7:45 pm. The moment of fullness is at 9:38 pm EDT. Of course we need clear skies to see this special event, but all those who are attuned to cosmic energies will feel the full Moon and lunar eclipse consciously, and can meet the powerful forces at work with an open embrace. As always at the full Moon we have the opportunity to integrate the opposing energies of the Sun and Moon. The Libra-Aries polarity is always at work on a moment-by-moment basis in our lives. We have move back and forth between a relationship to ourselves and our relationship to other people. The Sun in Libra is focused outward towards friends and partners, while the Moon in Aries yearns to feel safe and solid inwardly. A friend recently spoke to me about the use of Perseus and the slaying of Medusa as a tool we have to observe and change what is fixed and habitual in our response to the world. Someone steps on our ego, and we respond in a way, which has become a pattern, either to withdraw or lash out in anger. 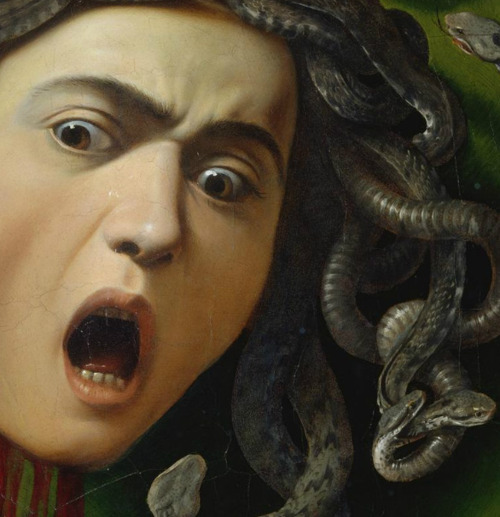 But then the Gorgon, Medusa turns us to stone, because we cannot transform our reaction, nor can we see our own monster within. If we turn our ‘shield’ into a mirror to look into ourselves, like Perseus, we can slay the Gorgon who would paralyze us, and we become free. Mars and Venus are rulers of the Moon and Sun this full Moon, and represent opposite forms and use of energy. Mars pushes outward, Venus draws inward. The universe does not exist with only one of these polarities. The in breath and the out breath are equally necessary to life; the journey outward becomes the return home. The period of the two equinoxes, followed by their full Moon, in spring and fall, give us the opportunity to feel, in equal measure Mars and Venus at work in our lives. While looking for images of Venus and Mars, I discovered that they are always shown in the arena of Venus, a love scene, rather than a scene of war. The two are always lovers, but never husband and wife, each must retain their individual power. This full Moon/ Penumbral lunar eclipse will fall at 25° Libra and Aries. The Sun’s position is within minutes of the brilliant fixed star, Arcturus, sometimes called a doorway to other dimensions. With Arcturus aligned to an eclipse, we have the potential to experience new insights, but they may not always feel welcome. Like the earthquakes which have shaken the Philllipines and New Guinea over the last few days, new consciousness, can be devastating. The Sabian Symbol for the degree of the Sun is ‘An eagle and a large white dove change into each other. The interaction of the spiritual Will and of the Love principle when critical needs arise.’ And for the Moon: ‘A man possessed of more gifts than he can hold. Obsession by potentiality.’ From An Astrological Mandala by Dane Rudhyar. 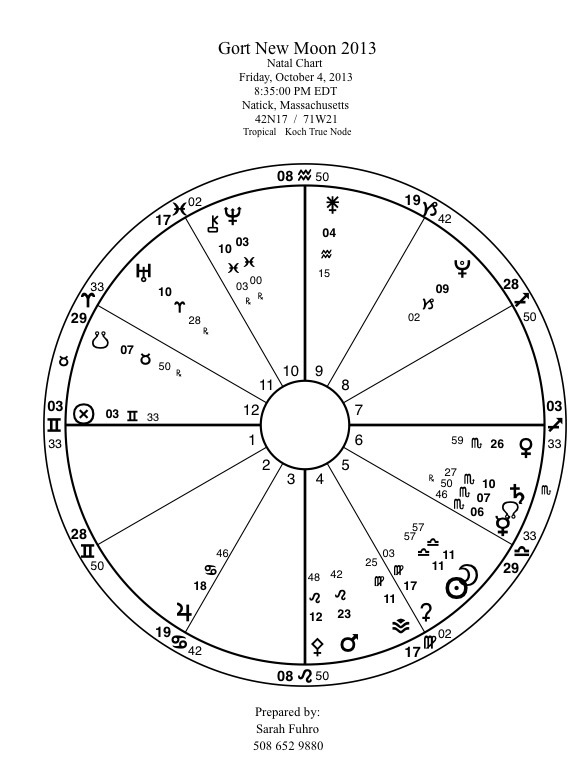 This chart also contains the Uranus Pluto square which will, once again, become exact on November 1st. The continued tightening of these two planets revive the issues which surfaced at their conjunction in the 1960’s. Their riveting demand for change, and then the repression of change, colors everything around us. Speaking of squares you might want to follow this thread which has a creative exercise for searching out our own ‘squared’ issues in depth. It’s not from an astrological perspective, but the principle of how a square works in astrology is explored in depth here: http://www.corelight.org/resources/marriage-of-spirit/chapters/chapter-eleven/. It is the lesson we learn from Gort, from Ivy, which will take us to the next stage of the Moon’s journey. She is halfway, only halfway through her Gort cycle. After the full Moon she will release all that she has gathered during the last few weeks. The Sun will enter Scorpio and the fire festival of Samhain (Hallowe’en) will take place. On November 3, still within the season of Samhain, the Moon will return to new again and we will have a total eclipse of the Sun. Until then, enjoy the beauties and mysteries of this harvest Moon as she fills and then empties and While looking up on these beautiful fall evenings say ‘hello’ to Venus who is decorating the Western sky. 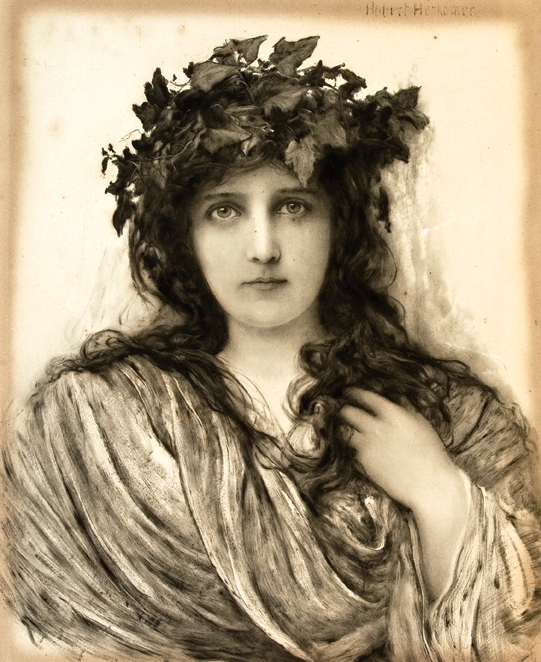 Here she is decorated in Ivy. To keep in touch with the Moon, 2014 Lunar Calendar: www.thelunapress.com. Gort New Moon of 2013. 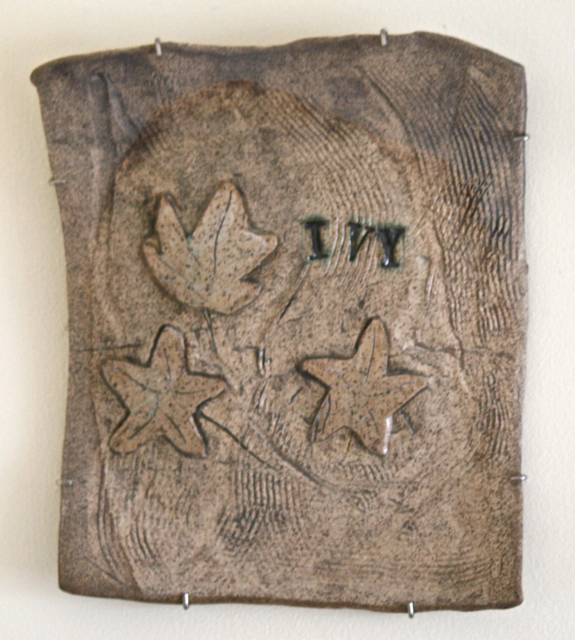 Ivy represents the spiral search for the self. 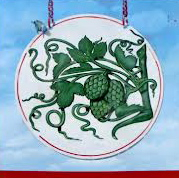 Chewed by the followers of Dionysus as a source of ecstatic release, Gort continues the connection with wine/vine because she was believed to relieve the worst effects of wine, and was often included in signs for taverns. Ivy grows on trees, walls, and stones but is not a parasite and does not harm plants where it seeks support. In Mt. Auburn Cemetery in Watertown are several gravesites with the husband’s headstone is decorated with Oak leaves, while the wife’s stone has Ivy carved into it. This speaks of two kinds of power and knowledge. 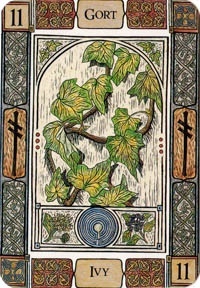 The Oak grows straight upwards reaching for the Sun and often the conduit for lightning; Ivy grows in spirals, moving in a variety of directions and holding earth and wall in place. Gort, like the labyrinth shown on this card, brings us into our center, and leads us out as well. As with each new Moon we are offered the moment when we can begin again, when we can draw a vision from the energy of the shared sign of the luminaries (Sun and Moon). This Moon cycle offers us the opportunity to use the balanced and harmonious energy of Libra as a moment of contemplation. Except that……. 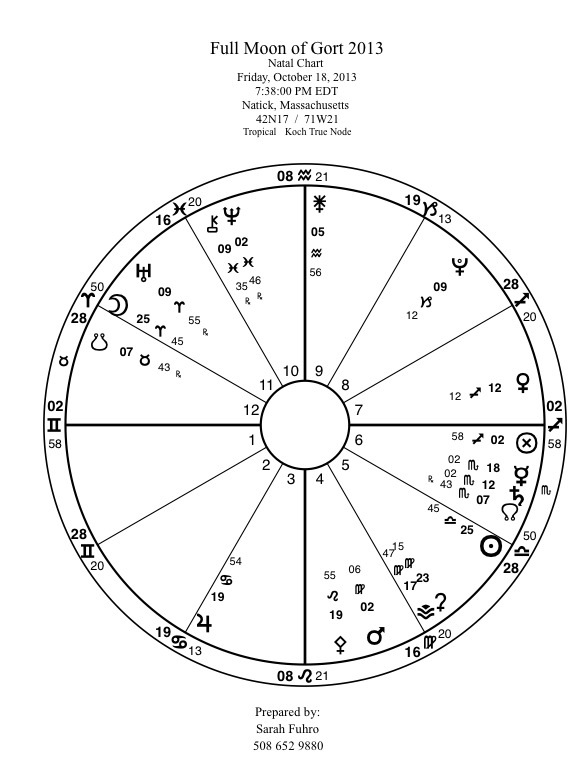 the chart for this Libra new Moon contains a mounting sense of excitement and tension. There is very little ‘rest for the weary’ to be found here, unless perhaps we surrender our struggles and our deeply held vision of the future might hold. Across from the Moon and Sun in the harmonious sign of Libra is the planet Uranus, he who brings revolution and sudden, unexpected outcomes, new information of an inflammatory sort, and high excitement. In a square to both ends of this opposition is Pluto, the lord of the underworld, implacable in his demand for the truth, and ruthless in his judgment. Perhaps, this might be associated with Ivy who sometimes acts as archaeologist and bares old bones in what she covers. Pluto offers rewards of power and manifestation to those willing to be fully true to themselves. The Uranus Pluto square has been a part of the action on our planet since it began in 2012 and will continue into 2015. Many themes of this square are echoes from the conjunction of these two planets in the mid 60’s. In order to understand this moment in time, we need to go back to the original symbolism of the scales of Libra. 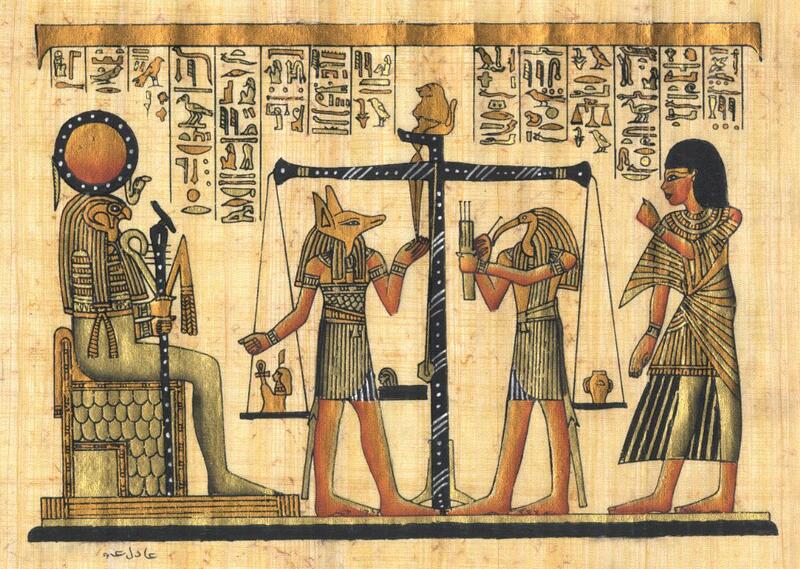 Egyptians believed that the souls of the dead are judged on a scale (the symbol of Libra). A feather was placed on one pan and the heart of the deceased on another. If the heart was heavier than the feather, the soul must go back into the world for another lifetime. 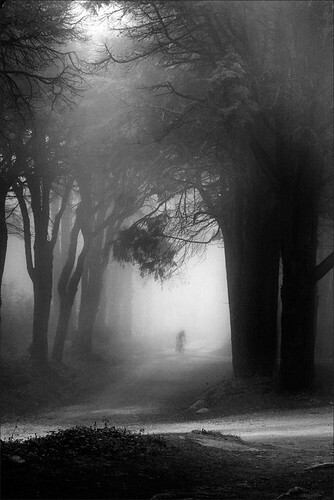 The heart which was ‘light as a feather’ had finished the journey.